Our standard Tines are anything but standard. The manufacturer, CTI, uses 41/40 superior steel in the production of Tines and each Tine is a one piece solid construction whereas other manufacturers often have two part construction which are by their very nature have been subjected to considerable stress before they leave the factory floor. CTI are constructed from 4140 steel and as solid rod construction this enables long life, optimum wear. For more information on Tine types and their attributes please see following. Please note this website shows a unit price but Tines are supplied in packs of 3 only and this also permits us to monitor and track back each batch to initial the production process if necessary. 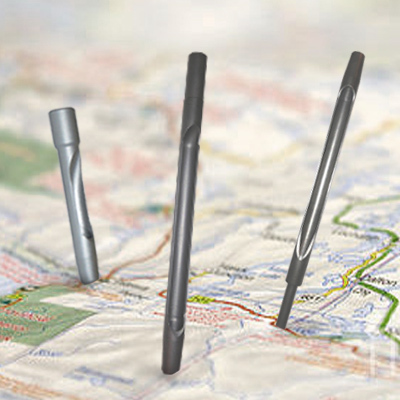 The following chart demonstrates the Tines sizes available for both deep and standard tines. Please contacts us for your specific requirements or if you have any queries.